Looking back, the world sure had its fair share of casualties during the economic downturn that hit hardest from 2007 to 2010. The boating industry was certainly no exception, when, in 2009, it lost the Maxum. This line of boats, which was manufactured by Brunswick Boat Group starting in 1988, filled a considerable gap in the company's offerings. 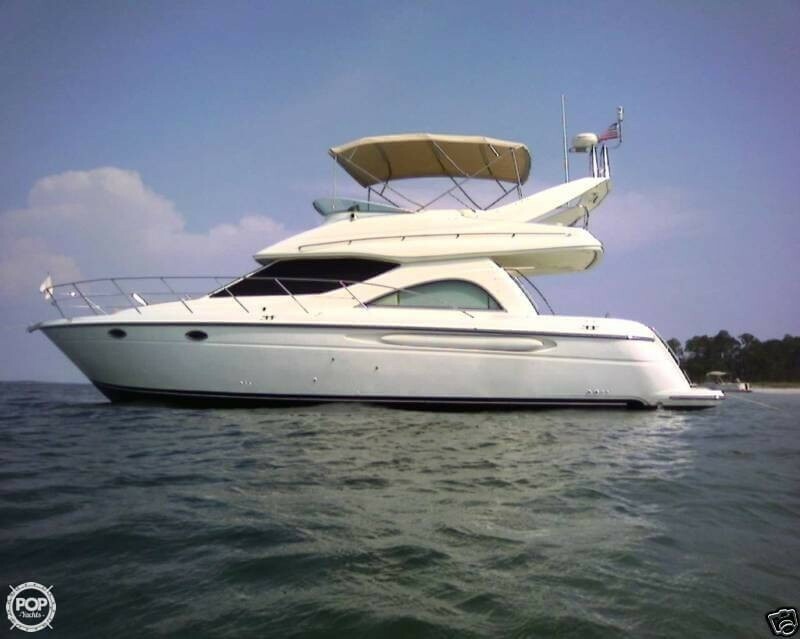 It was marketed among the brand's vessels as a higher-end option than the Bayliner, but still more affordable than a Sea Ray. The hull of the Maxum was the same as the Bayliner, but it had its own deck and interior designs. According to David Pascoe, who reviewed the Maxum 4600 for YachtSurvey.com, Brunswick was thoughtful about safety and space when building the Maxum sport yacht, which he named a "best buy." "You don't buy a 46 boat in order to constantly be bumping into things, knocking your head, barking your shins and bashing your elbows because some fool tried to cram a palace into 46'," he wrote. "Your aging body will be well cared-for with this boat." He also remarked that Brunswick invested in the "big ticket items" on the boat, not skimping on "quality where it counts," Pascoe said. In fact, he called the Maxum 4600 a good value for the money, coming in at $295,000 when it was new. The Maxum reached top sales in 2005-06, when it was ranked 12th among sports boats, even though it would just be a few years until it would exit production. In 2008, the year before Brunswick discontinued the Maxum, it had stopped production of a slew of other models including Bluewater Marine brands Sea Pro, Sea Boss, Palmetto and Laguna. Five years after its last model was completed, the Maxum is still a popular boat and in high demand. In the POP Yachts listings, the Maxum is available in a wide price range, from an 18-foot runabout for $12,000 to the 41-foot limited edition motor yacht pictured above, priced at $194,250. We have more than 50 options within our Maxum listings right now. Take a look through them now and give us a call at 941-257-0111 today so we can help you find exactly the right vessel you're looking for.